Google has become the leading search engine and more than 80 percent people use it for their regular searching, while Bing still captures No. 2 spot in search engine rankings. Google is taking almost whole search, but Bing is one of the growing search engines with more than 30 percent of market share. You can drive a huge amount of traffic through Bing, but it is far away to compete with Google. For all of your SEO needs you can consider Google search engine, but you can drive traffic from Bing. So, optimize your site on both Google and Bing. Although, the way of optimization is different for both search engines, after understanding their differences, you can run your SEO campaign more successfully. 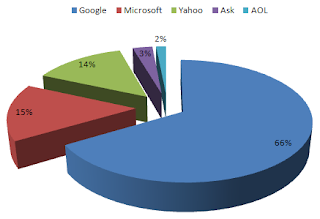 Almost 80 percent share of whole search is related to Google. If you keep an eye on the traffic analysis of different websites, you will see huge contribution from Google. Following points are very helpful to run a focused SEO Campaign. 1- Google prefers link popularity. It also has better link and anchor variety. Bing, being a young Search Engine, cannot yet get attention of public. 2- For high rankings, links to your site are very important; Google gives the importance to the links that obtained from relevant content pages and have keywords in link description or body while Bing considered keywords in title tags. 3- Google gives huge importance to the inbound links while Bing gives much importance to Meta tags. 4- Bing gives high value to your site XML sitemap so update it on the regular basis. 5- Forums have the better place in Google’s search than Bing. You can see forums results in your Google search. 6- Google doesn’t appreciate .edu or .gov website and only appear in Google search if their content is informative while Bing prefers these sites with page authority. 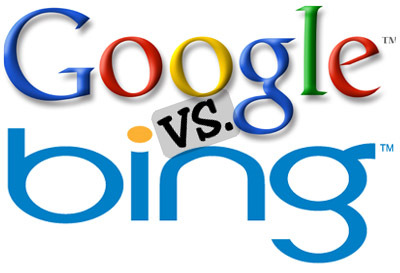 7- Bing gives importance to site age and like old sites while Google doesn’t highlight site age. 8- If you search the term that has multiple meaning, then Google shows the most popular site in results while Bing prefers local results for that search. 9- Bing like the sites that have been created using flash, but Google doesn’t give much importance to flash sites. 10- Google is more advanced and can understand the content that is related to keywords while Bing can bring results relevant to keywords. The above points reflect the ability of Google’s search engine and also show that Google is much advanced than Bing. However, to get the real benefits of your SEO Campaign, optimize your website on both search engines because Bing also has the huge amount of traffic. This is really good post about Google and Bing search engine. Optimizing site for Bing is really tough and getting high traffic from Bing also. Bing provide good search result but still it lacks in the lots of area to compete with google.